In this post, Guest Blogger, Udo Obiechefu attempts to start a conversation on the risks and rewards of traditional and modern medicine. Enjoy! It is estimated that over 70% of West Africans rely on traditional medicine for treatment of both communicable and non-communicable diseases. There has been debate in recent years over the belief that traditional medicine should be given a more legitimate place within the structure of West African healthcare. 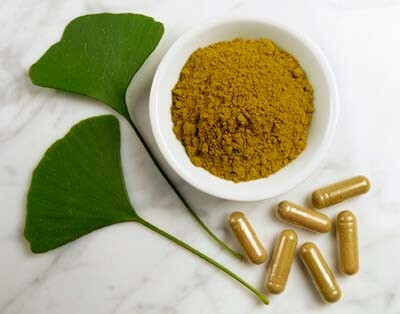 Traditional medicine offers many positive aspects to healthcare. Despite the criticisms of some traditional methods, many techniques used, especially those involving the use of herbs and roots, have scientific support and proven clinical success. The problem with traditional medicine lies in the belief of many that it should be the primary source of medical care. This belief that traditional healers are the first and last line of defense against an illness can lead to potential life threatening medical emergencies. A study conducted in three ECOWAS (Economic Community Of West African States) nations found that 60% of children suffering from malaria related fever were first treated with herbal medicines. This can be a dangerous situation. Heavy reliance on traditional means can bring about damaging results when a life is in danger. This also holds true in regards to women’s healthcare. For instance, treatment for miscarriages are often performed by traditional healers when procedures of this nature should only be performed by properly trained medical personnel. Despite the issues, there is room for traditional and modern methods to work together. Most ECOWAS nations are in the process of developing policies and regulations for traditional medical care. Instead of working against traditional methods, many healthcare systems are looking to work with traditional healers. Given the lack of access of many West Africans to quality hospitals, it is important to take advantage of the medical solutions already in place. Atlas of African Health Statistics 2012. Raw data. World Health Organization. Regional Office for Africa, Republic of Congo. Busia, Kofi. “Overview of Traditional Medicine in ECOWAS Member States.” The African Health Monitor 13 (2010). Web. 13 Nov. 2012. “Traditional Medicine Fact Sheet.” WHO. World Health Organization, Dec. 2008. Web. 29 Mar. 2013.